PASS feature winners get a 250 provisional. 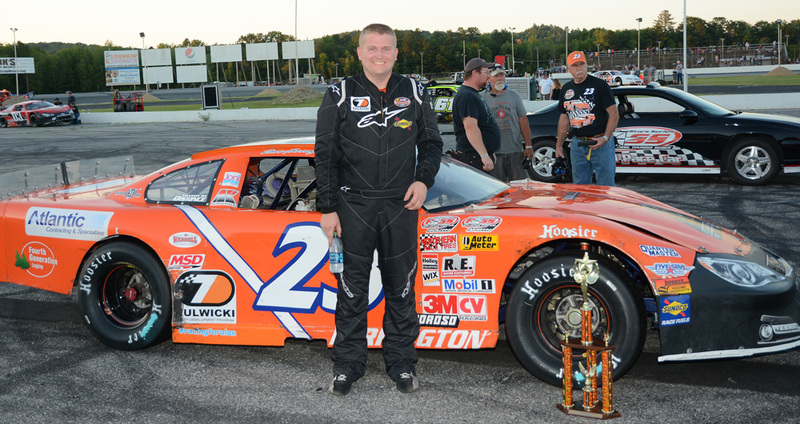 Oxford, Maine -- Reigning Pro All Stars Series North Champion DJ Shaw of Center Conway, New Hampshire claimed victory, and a preferred starting position in the upcoming Oxford 250 National Championship event, in the 100-lap 'Open' Super Late Model main event Sunday night at Oxford Plains Speedway. Oxford's Dennis Spencer, Jr. set the pace in the opening laps, but troubles sidelined him not long after he yielded the lead to Tracy Gordon of Strong. Gordon led on a couple of occasions and actually led more laps than anyone in the race while swapping the top spot with reigning Oxford 250 champion Wayne Helliwell, Jr. of Dover, New Hampshire. Helliwell prevailed in a fierce race for supremacy with Gordon, but the E-Keys-4-Cars 27 couldn't hold off the Precision JLM 90 down the homestretch, and Shaw claimed the top step on the podium. Helliwell was the runner-up, with Glen Luce of Turner, the current PASS North points leader and winner of the previous week's 50-lap weekly racing series race at Oxford, crossing the finish line in third position aboard the Stevens Pump & Electric 7. 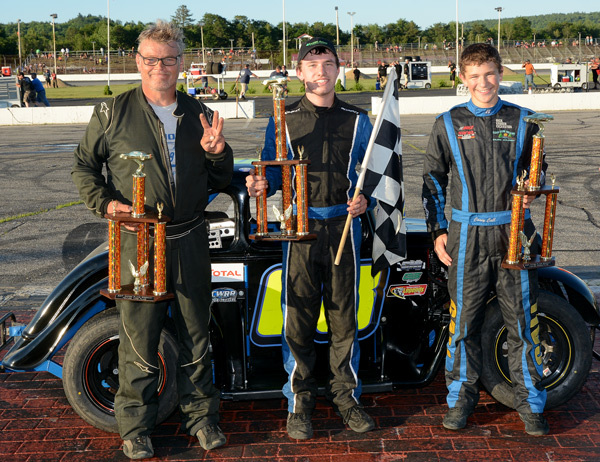 Three conditional Oxford 250 spots were available to non-PASS race winners, and they were earned by Gordon, Adam Polvinen of Hebron and Dave Farrington, Jr. of Jay. Gordon just missed out on a podium spot after leading 49 of 100 laps. Polvinen and Farrington raced with the contenders throughout the century grind, finishing in fifth and sixth positions, respectively. 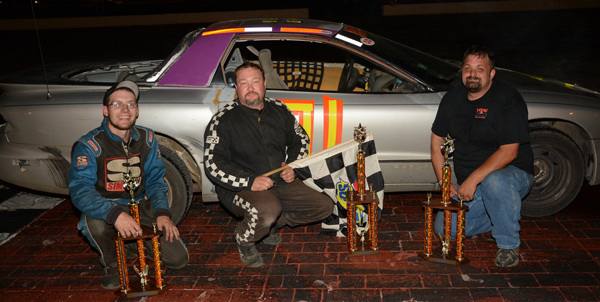 Cory Hall of Jolicure, New Brunswick dominated in Legends Cars competition, getting by reigning track champion Austin Teras of Windham early in the 25-lap race and coasting to victory. 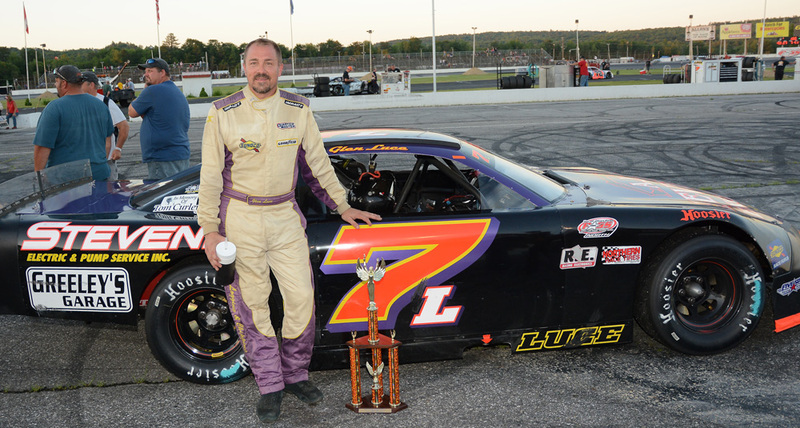 Casey Call of Pembroke, New Hampshire was second under the checkered flag, with Bobby Weymouth of Topsham third. Teras and Colby Benjamin of Belmont rounded out the top five. Teras and Hall won heat races. Zach Emerson of Sabattus survived and thrived in the 100-lap Colossal Carnage Enduro race. The winner's son, Jonathan Emerson, dominated the first half of the race before running into misfortune. The elder Emerson had to turn back challenges from eventual runner-up Skip Douglass, Jr., and Kyle Hewins, who finished third after leading several laps. 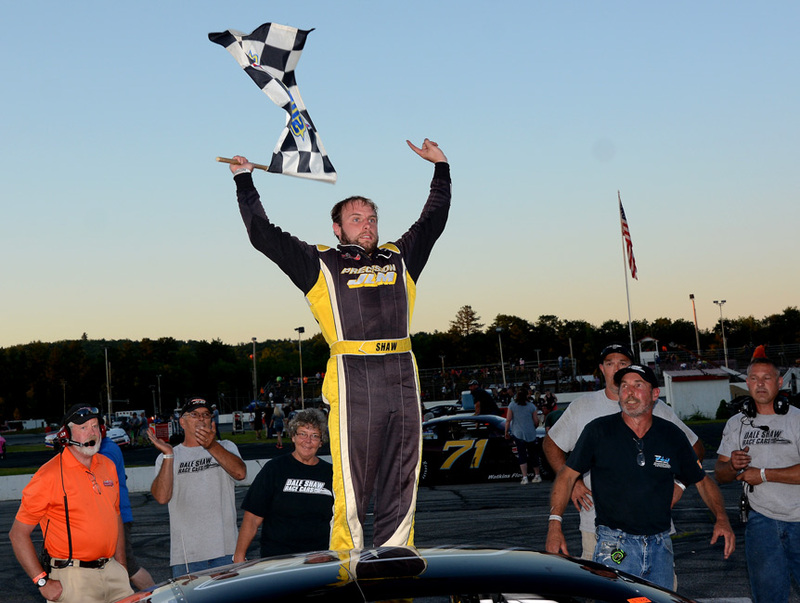 Cam Childs of Leeds led all the way in a competitive, 10-lap Flagpole race. Kyle Hewins, also from Leeds, claimed runner-up honors, with the Tornado, Travis Verrill of South Paris, earning a third-place trophy. 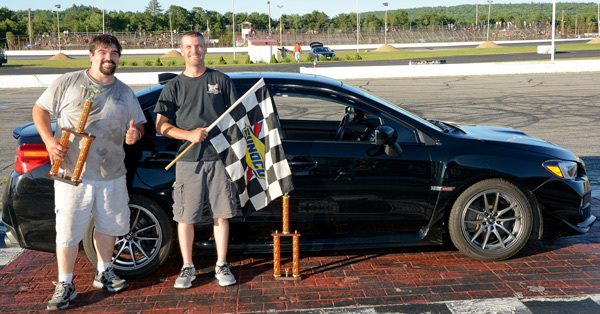 Kevin Douglass of Sidney, once a winner in the top class at the Speedway, prevailed in the Specatator 1-on-1 Drags elimination event, driving a Subaru. Bill Dixon of Ossipee, New Hampshire was the fan favorite and winner in the 'Smoky Donut Show' trophy twirl. Racing continues with the rescheduled, annual fireworks display joining the four weekly Budweiser Championship Series divisions on Monday, July 3 with post time set for 7:00 p.m. The Budweiser Championship Series moves to Friday night for one week only for Fan Appreciation Night, with 2 for 1 grandstand admission. Oxford Plains Speedway is located at 877 Maine Street, State Rout 26, in Oxford, Maine. For more information please visit oxfordplains.com or call (207) 539-8865. Pro All Stars Series Open results from Oxford Plains Speedway; Oxford, Maine; Sunday, July 2, 2017 showing finishing position, car number, driver's name, driver's hometown. 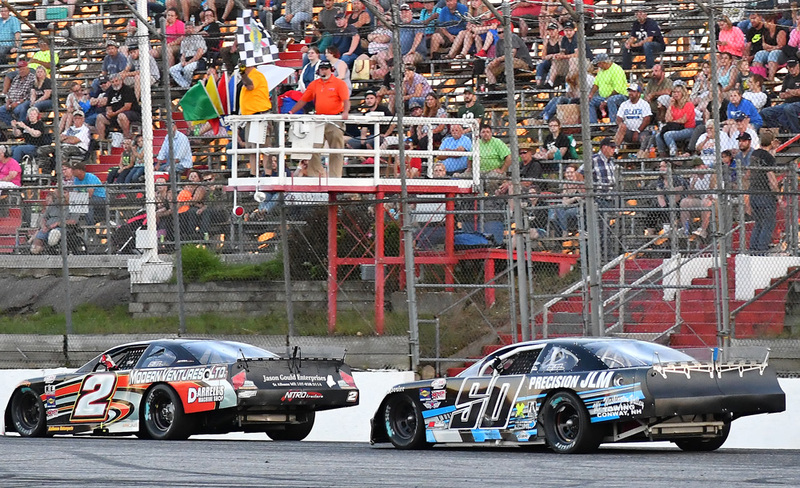 PASS Super Late Model (100 laps) 1 90 DJ Shaw, Center Conway, NH; 2 27 Wayne Helliwell, Jr., Dover, NH; 3 7 Glen Luce, Turner; 4 41 Tracy Gordon, Strong; 5 73 Adam Polvinen, Hebron; 6 23 David Farrington, Jr., Jay; 7 03 Joe Squeglia, Jr., Derry, NH; 8 19 Matt Swanson, Acton, MA; 9 71 Gary Drew, Casco; 10 50 Jeff White, Winthrop; 11 12 Derek Grifith, Hudson, NH; 12 47 Kelly Moore, Scarborough; 13 32 Nick Jenkins, Brownville; 14 94 Shawn Martin, Turner; 15 48 Bobby Timmons, Windham; 16 09 Daren Ripley, Warren; 17 01 Andy Saunders, Ellsworth; 18 14 Scott McDaniel, Livermore; 19 2 Chad Dow, Pittsfield; 20 18 Bobby Seger, Jr., Frankfort; 21 63 John Salemi, Nashua, NH; 22 72 Scott Robbins, Dixfield; 23 90 Derek Kneeland, Sebago; 24 77 Cassius Clark, Farmington; 25 46 Dennis Spencer, Jr., Oxford; 26 16 Travis Stearns, Auburn; 27 61 TJ Brackett, Buckfield; 28 7 Ben Lynch, Charlotte, NC; 29 60 Tim Brackett, Buckfield; 30 09 Justin Drake, Burnham, DNS 99 Sarah Cornett-Ching, Summerdael, BC, Canada. 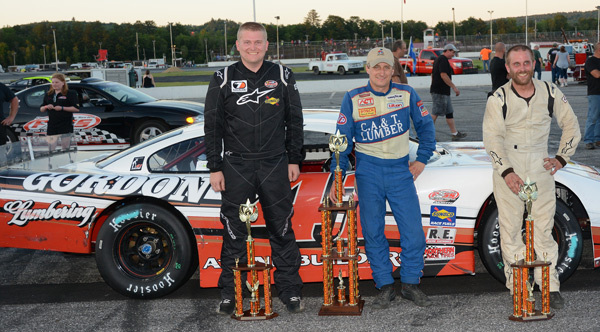 Legends Cars (25 laps) 1 08 Cory Hall, Jolicure, NB, Canada; 2 90 Casey Call, Pembroke, NH; 3 399 Bobby Weymouth, Topsham; 4 29 Austin Teras, Windham; 5 52nh Jake Matheson, Hillsboro, NH; 6 19 Kevin Girard, Saco; 7 28 Kevin Oliver, Raymond; 8 56 Derek Debbis, Oakdale, CT; 9 4 Peter Craig, Poland; 10 31 Trent Goodrow, Carver, MA; 11 Noah Korner, Bloomfield, CT; 12 29 Kody Quinn, Sydney, NS, Canada. Enduro (100 laps) 1 71 Zach Emerson; 2 68 Skip Douglass, Jr.; 3 53 Kyle Hewins; 4 2 Shaun Hinkley; 5 3 Caleb Proctor; 6 24 Travis 'Tornado' Verrill; 7 97 Jim Hart; 8 18 Kyle Duguay; 9 42 Keith Russell; 10 34 Cody Meserve; 11 11 Cam Childs; 12 80 Chris Gray; 13 27 Ryan Palmer; 14 06 Ryan Glover; 15 8 Josh Knoll; 16 6 Cody Douglass; 17 40 Chase Emerson; 18 42 Sasha Lauzier; 19 2 Joshua Dube; 20 77 Dylan Freeman; 21 54 Kris Merrill; 22 22 Dylan Luce; 23 69 Chris Yowland; 24 33 Dustin Damon; 25 83 Chachy Hall; 26 4 Bob Anderson; 27 116 Mossie Thibodeau; 28 4x Tanner Hermon; 29 21 Jason Cyr; 30 05 Rick Dobson; 31 73 Alan Carrier; 32 28 Will Barker; 33 99 Josh Glover; 34 49 Jacob Dobson. 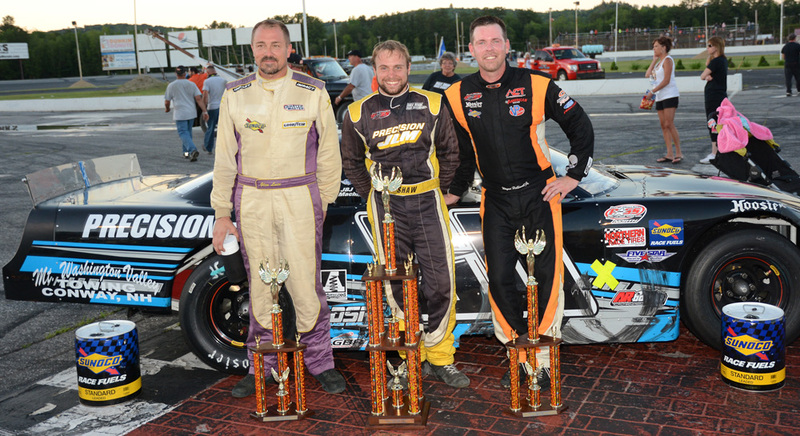 Flagpole Race (10 laps, top 3 of 7) 1 11 Cam Childs, Leeds; 2 68 Kyle Hewins, Leeds; 3 24 Travis 'Tornado' Verrill, South Paris. Spectator Drags: Kevin Douglass, Sidney, Subaru. Smoky Donut Show: Bill Dixon, Ossipee, NH, Ford Ranger.